On A Wall Higher Than A Blimp! AWESOME! When Kat wakes up I was met with a world that was falling apart and no one knew what to do. Everyone is just trying to live around the gaping black holes in the sky that are sucking pieces of the world into oblivion. I was learning with Kat about what was going on and the severity of the situation. Immediately after the first cut-scene graphic comic book styled panels were over questions filled my head as to what the hell was going on and how Kat played into this whole mess. 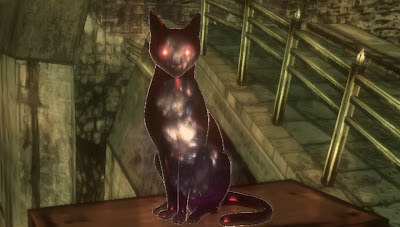 As I'm running along through an alleyway type spot in the city I came across a shadowy black cat that had piercing eyes. With the cat around I was allow a chance to play with some gravity powers. Being able to float, levitate, fly and fight were soon added to my repertoire of abilities. Much better than only skilled in running and walking. I guess I got too into flying around, because I got disoriented after I was running on walls, upside down on stairs and bouncing off of the different pieces of the world that were just floating in a stasis like daze. The more I played though, the more I have become accustomed to the world around me and how to not lose track of the forces of natural gravity. You see Kat hasn't learned how to master her new abilities yet and runs out of the energy to manipulate the forces of nature. Which this makes her plummet to the ground by the original master of gravity...Earth. The fun thing is though; Kat doesn't have to be on the ground to recharge the meter, because it starts charging after about two or three seconds of running empty. This means I could just reactivate my gravity control while plummeting and just keep doing what I was doing before. 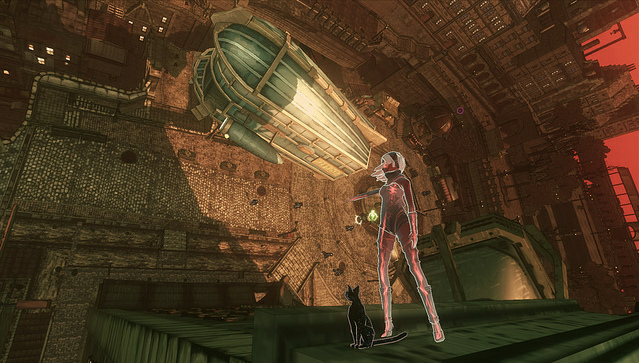 Everything is so fluid in Gravity Rush. I can not stress this fact enough. If you are going to play this in between trips or want something to kill a few minutes then play the side missions, the time trials, the repeatable missions (to see if you can complete them quicker) to kill those pesky minutes of nothing to do. If you want to have a meaty experience; something that will last longer than a few minutes, then do the story missions which will run ten to twenty minutes each. Another great time killer is just running around (or fly around) to explore the world and gather up all the gems that are scattered around the dissipated world. Then use those gems to improve Kat's abilities further. 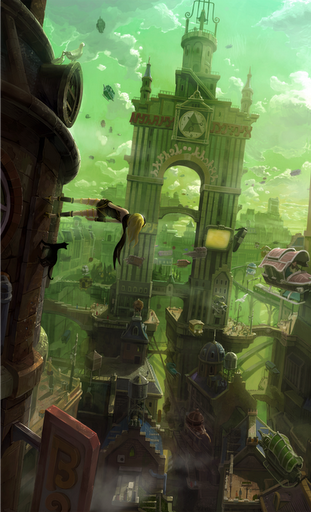 I'm greatly enjoying Gravity Rush. Everything is such a nice breath of fresh air and it is much-needed shot in the arm for Sony's newest PlayStation family member. I hope there will be a franchise formed from this game (great games mind you, not just cash in games). There is so much that I'm sure I will find out as I go through Gravity Rush, but I want to see these new original games getting support and moving forward. Anyway! Buy this game! It is the reason to own a PS Vita!